My fellow Nigerian, Nneka just released a video for her single, Restless. The Nigerian-German singer’s music has been described as 21st century soul music with an Afrobeat flare. 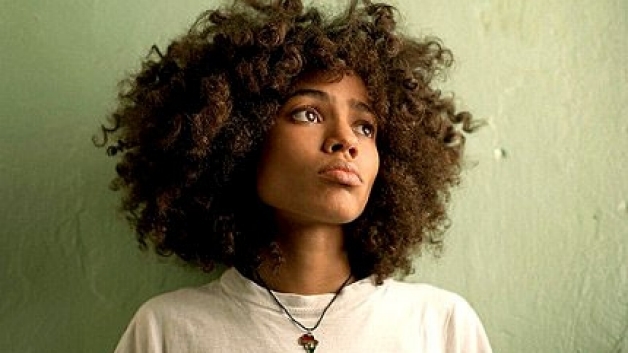 Nneka has toured with The Roots, opened for Lauryn Hill and Lenny Kravitz, performed on the David Letterman Show, and on countless stages. Her hit single “Heartbeat” was sampled by Drake and used for the Rita Ora’s “R.I.P” song. Nneka dedicated her third album (and first U.S. release) Concrete Jungle, to the people of Warri, Nigeria, and the Niger Delta where she was born and spent her early years. Be sure to check vote for her video on BET’s 106 & Park! I tried searching online for the official video which premiered on BET’s 106 & Park yesterday but nothing popped up.